We've been told for so long that hatches don't sell here in the U.S., so it's surprising to see a new crop of two-box premium cars going on sale. MINI started it with its R53 Coopers; retro flash met modern dash and it sold successfully enough to warrant an upgrade to the R56. 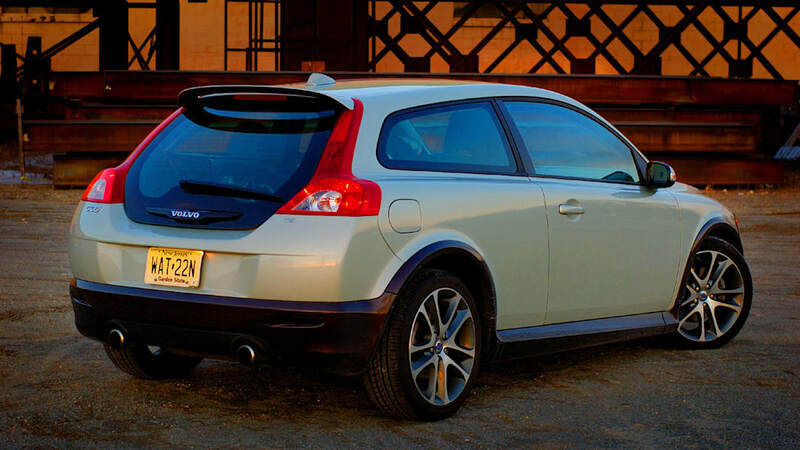 Volvo's got the same lust for entry-level customers to its premium wares, so on the scene rolls the C30. 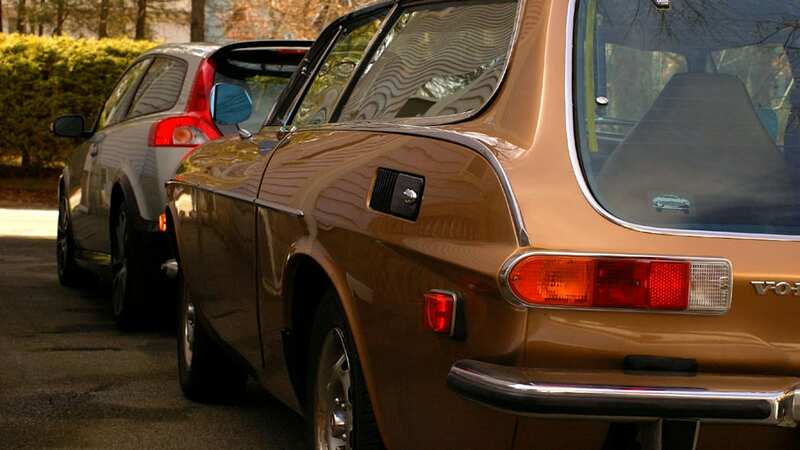 Based off the S40, the C30 reaches back over three generations of boxy-but-good styling to a time when Swedish cars wearing the alchemist's symbol for iron had curves and a shooting brake profile. 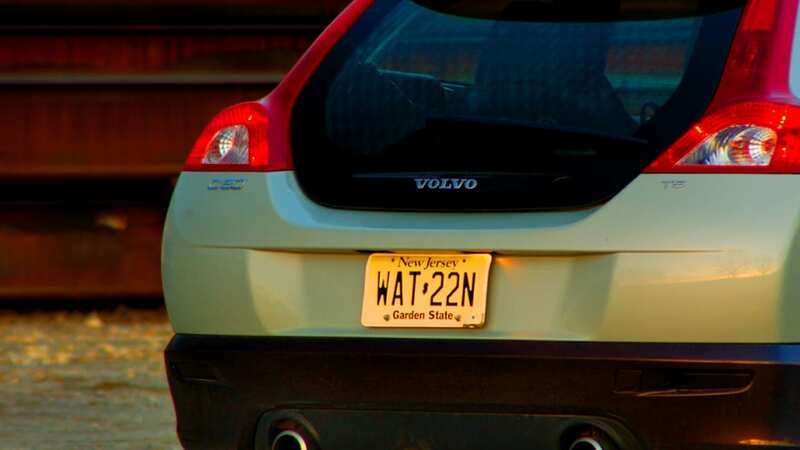 Hatch/wagon/brake/estate - call it what you will, Volvo's hoping it can call the C30 a success. 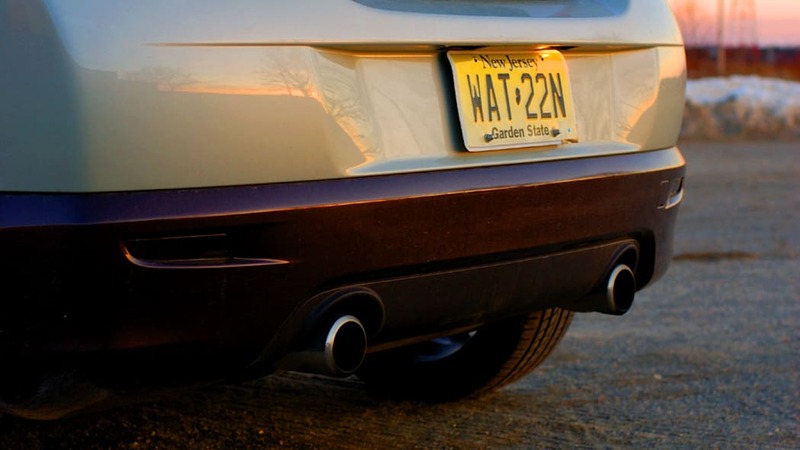 All photos ©2008 Dan Roth / Weblogs, Inc.
Nomenclature aside, here's the modern equivalent of the 1800ES. Its forebear's rump set the tone with a postern rendered in glass, and the C30 follws suit. 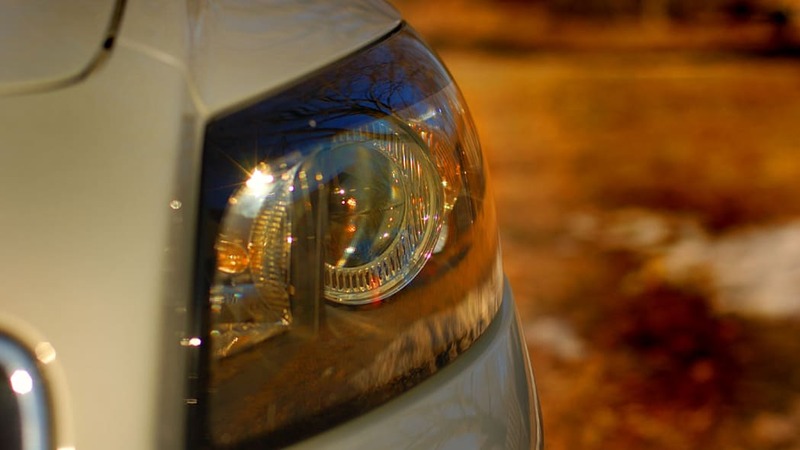 The visage is essentially what you'll find on the S40, though the airdam and headlamps are subtly different. The Version 2.0 model also gets sportier ground effects and a rear roof spoiler. 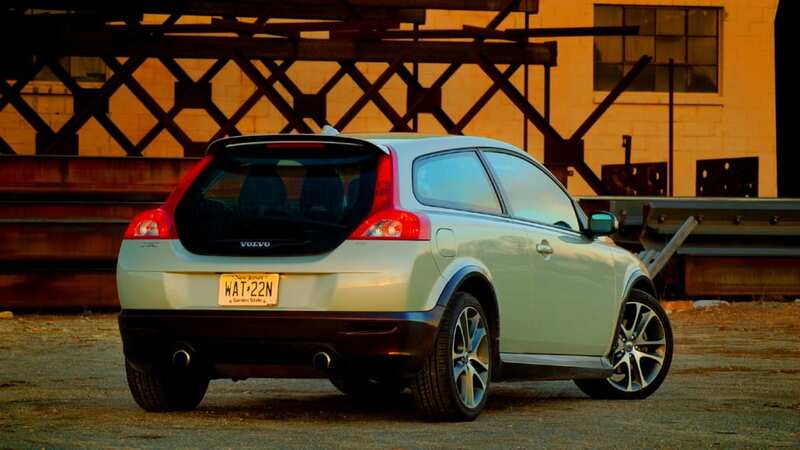 The look is eye catching; people notice the C30. 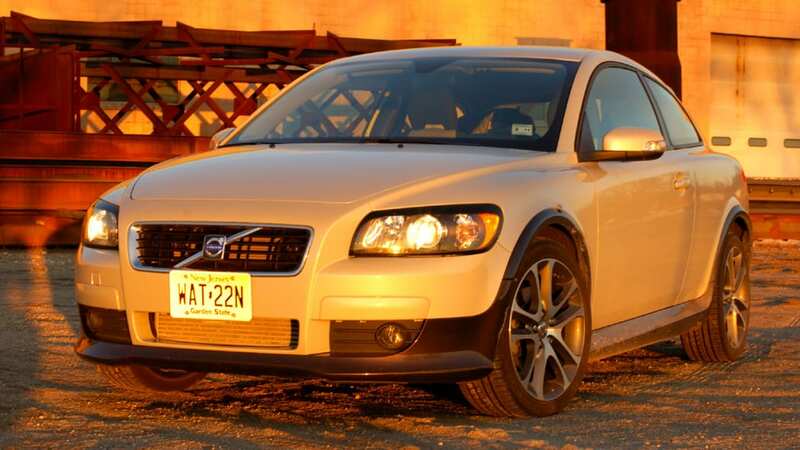 The C30 T5 - they're all T5s in the U.S. - in the Autoblog Garage looked super natty in Cosmic White with a root beer brown accent around the entire bottom of the car. 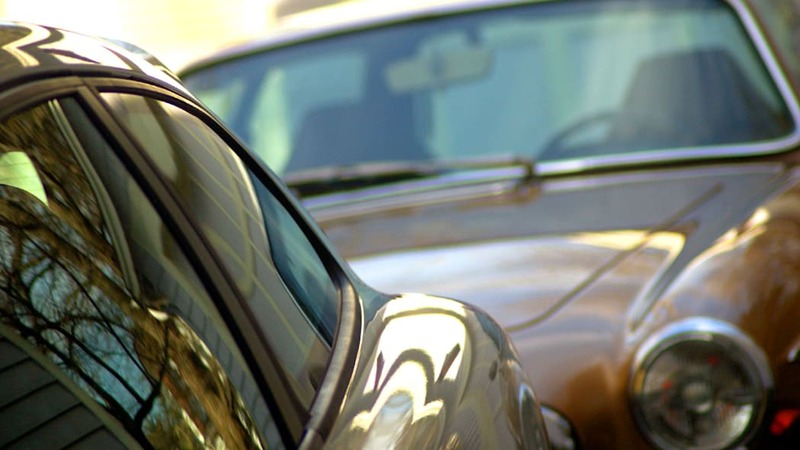 Fenders are filled with 18-inch wheels wrapped in wide 215/45 tires that deliver sharp reflexes. Big tires with small, stiff sidewalls extract a penalty over every bump in exchange for their grip. 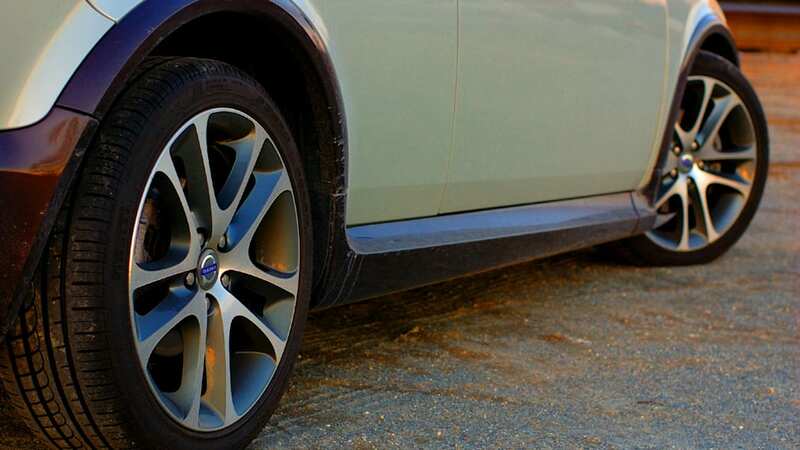 Tramlining occurs more often than on less sporty Volvos, but the tires aren't so excessively wide that the steering tries to follow every rut. 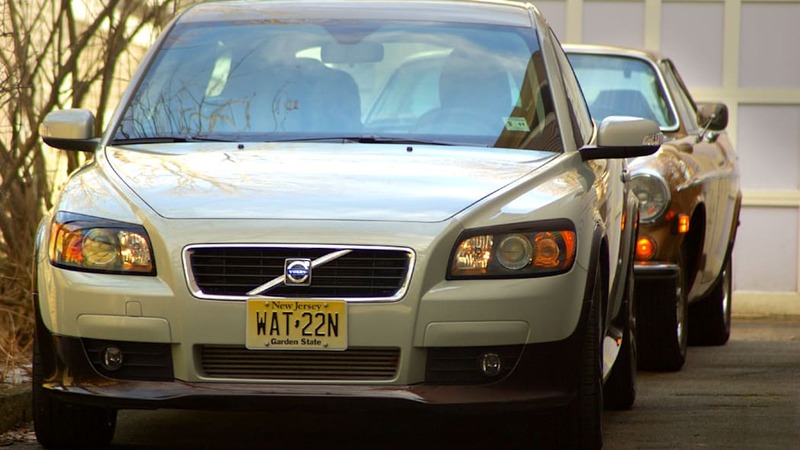 On the pothole-ridden byways of late-winter New England, the 18s aren't the smartest choice. 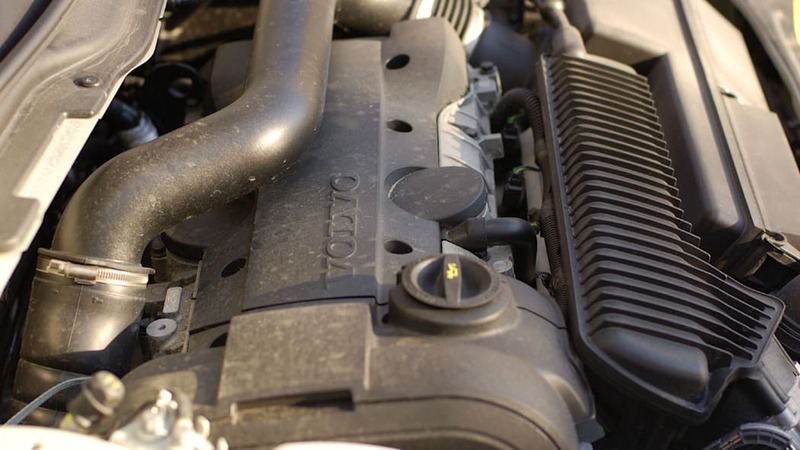 Such rubber-bandy fitment induces cringes on pocked surfaces, and it's common for alloy rims to need a trueing as a maintenance item. Little responsiveness and handling acuity would be given up for a drop to 215/55/16s, and the ride would improve. 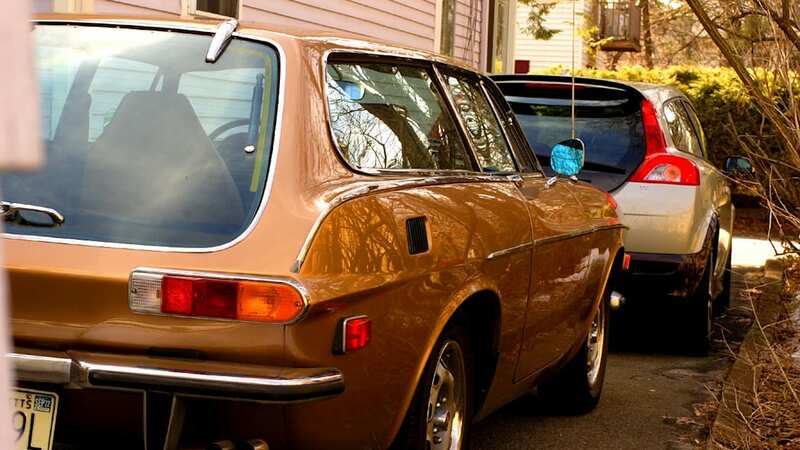 You will jiggle when the suspension deflects, but Volvo has learned a thing or two about chassis tuning since the jackhammer days of the first T5-trimmed 850. While stiffness in the suspension can border on harsh, you can never have too much chassis rigidity. 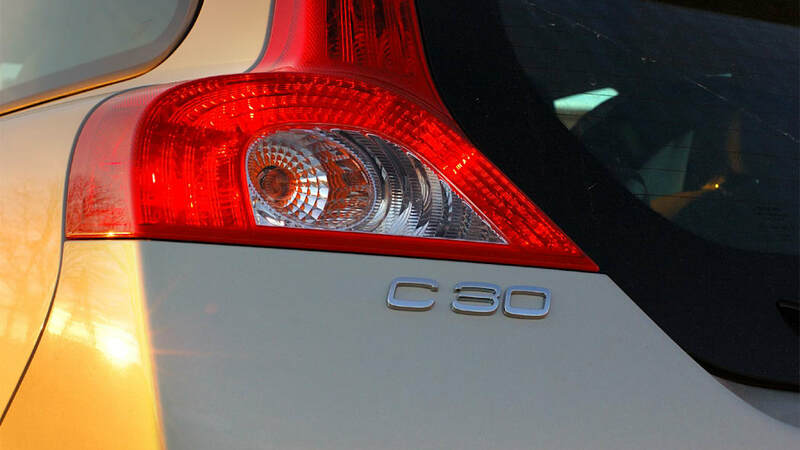 The C30's structure is solid, which makes it feel tight and substantial. 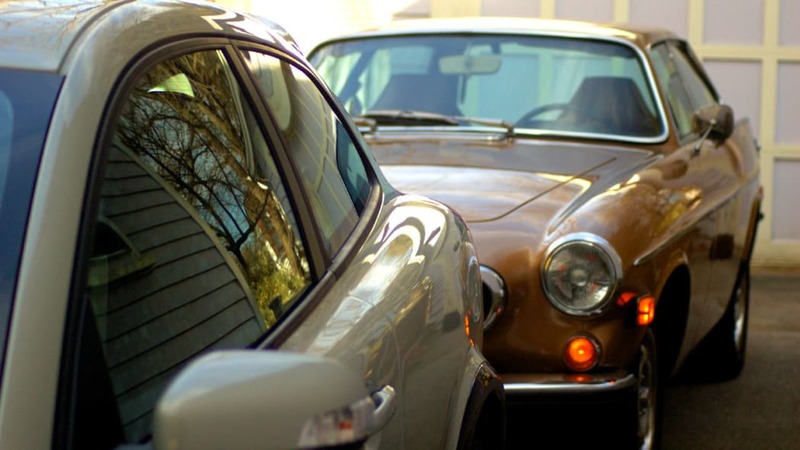 Quick handling is a by-product of the unshakeable foundation - the chassis doesn't wind up. Tidy dimensions and a fabulously chunky optional sport steering wheel work in concert with nice rack weighting to point the C30 where you'd like it to go. Stiff ride or no, taking a set and carving a line isn't a problem in this baby. 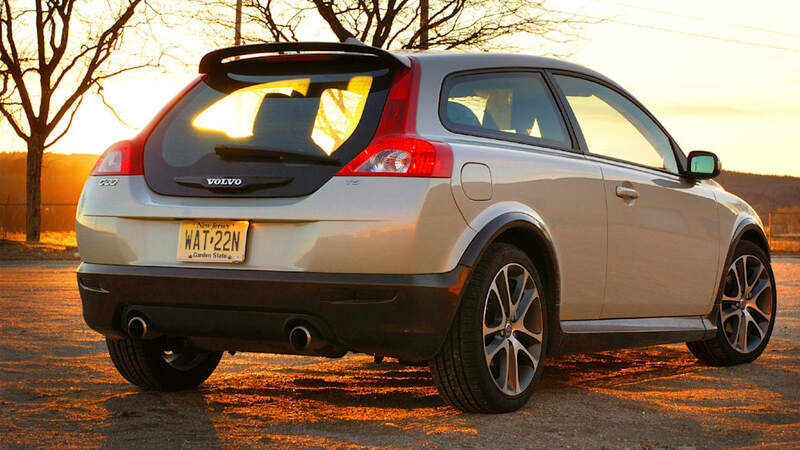 Once you've emerged from the canyons, the C30 is also a docile, calm cruiser on the interstate. 28 mpg highway (if you keep your foot out of the turbocharged five cylinder) makes for legs that are moderately long. 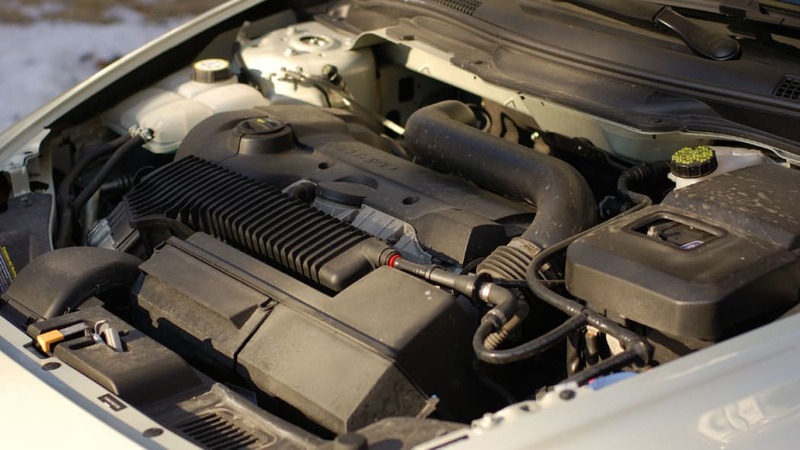 227 horsepower channeled through the front wheels could be a recipe for ridiculous torque steer, and there is some "noise" in the steering from the FF layout, but we didn't find torque steer to be an issue. Slightly wonky electronic throttle response made it easy to call for too much torque, which would translate into wheelspin upon takeoff if there was so much as a pebble of sand. 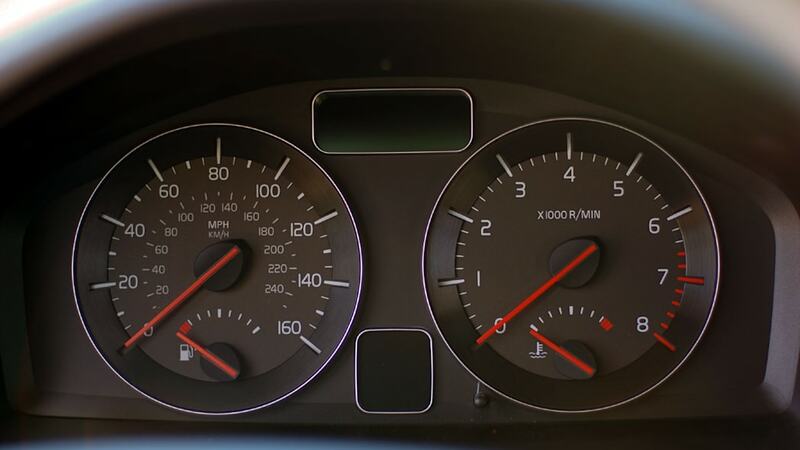 Once launched, the electronic throttle funkiness shows up in second gear, too, where you sometimes get a lot more go than you asked for. The sport steering wheel was joined by a matching shift knob, both wearing aluminum accents. 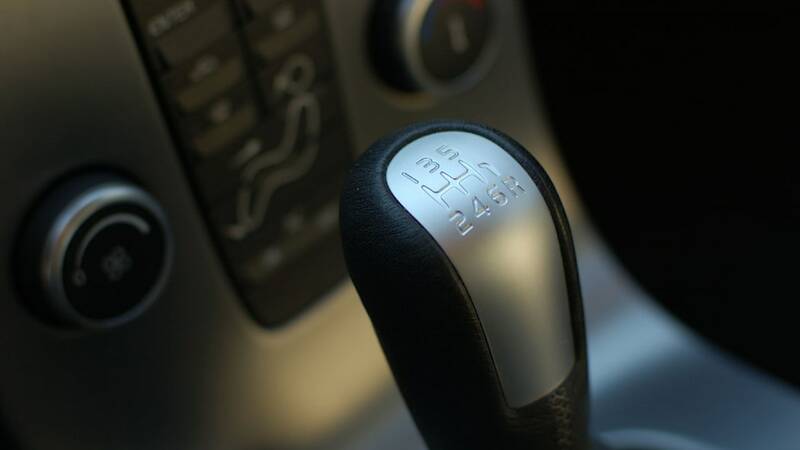 Dress it up however you like, the C30's shifter is as vague as a campaign promise. The metal insert is also chilly on a winter morn. Once acclimated to the long throws and balky gates - we got stuck on the 4-5 upshift a few times - smoothly coordinating throttle, clutch and gear selection becomes easy. 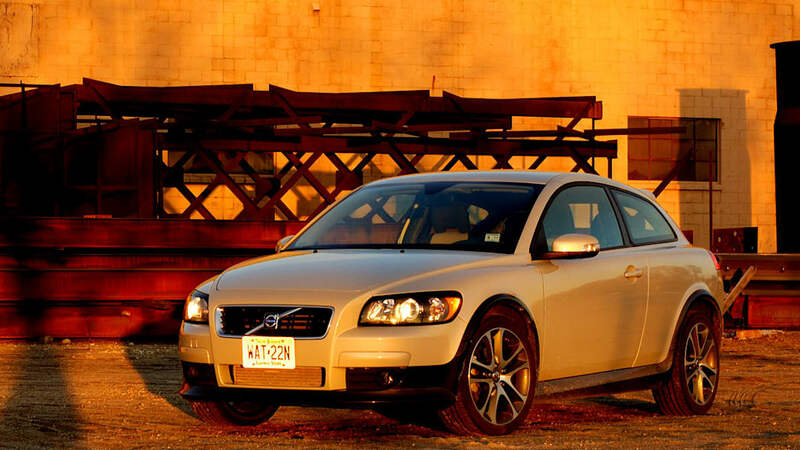 Volvo clutches have always been forgiving and the C30 benefits from that history, making smooth driving easy. 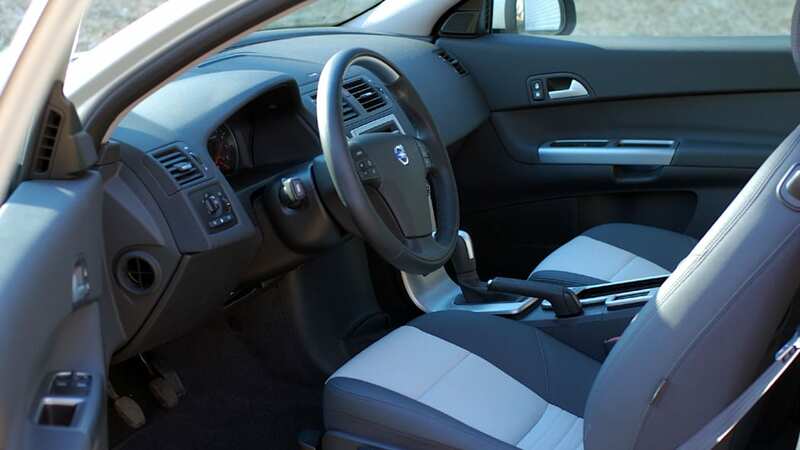 Volvo's decades-long tradition of fine seats precedes the C30. 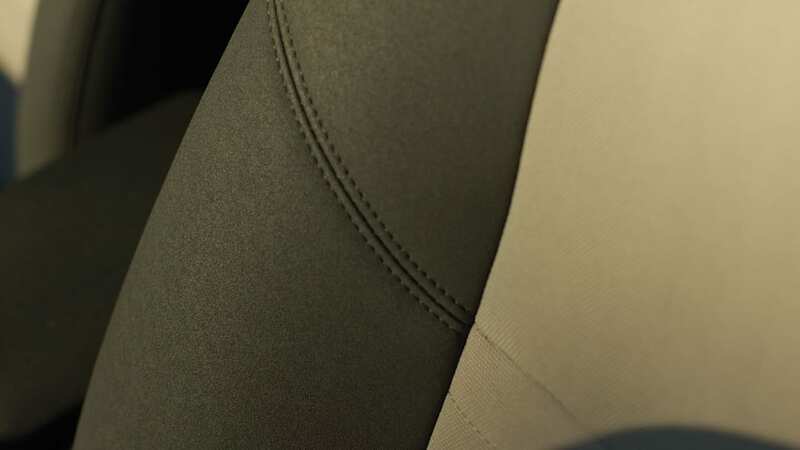 For $28,000, however, we might have expected to find leather on the seats instead of the Kalix and T-Tec mix that swathed the chairs. 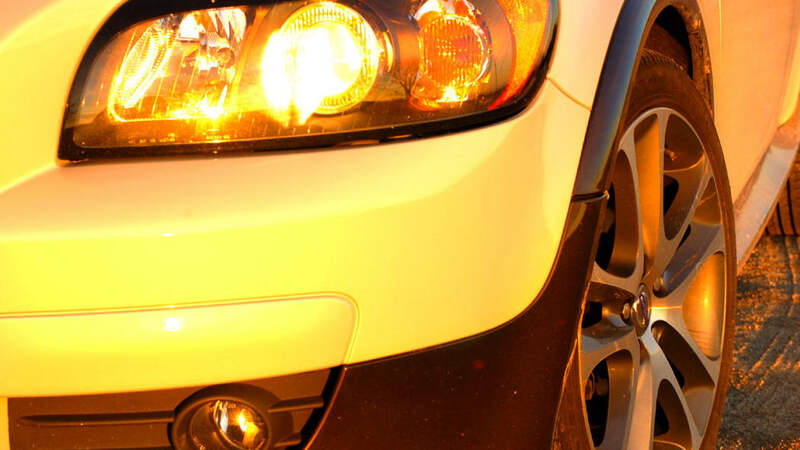 Appropriately supportive in all the right places with a comprehensive range of manual adjustments, the black and light gray color combination looks good and keeps you in place when working the tires. 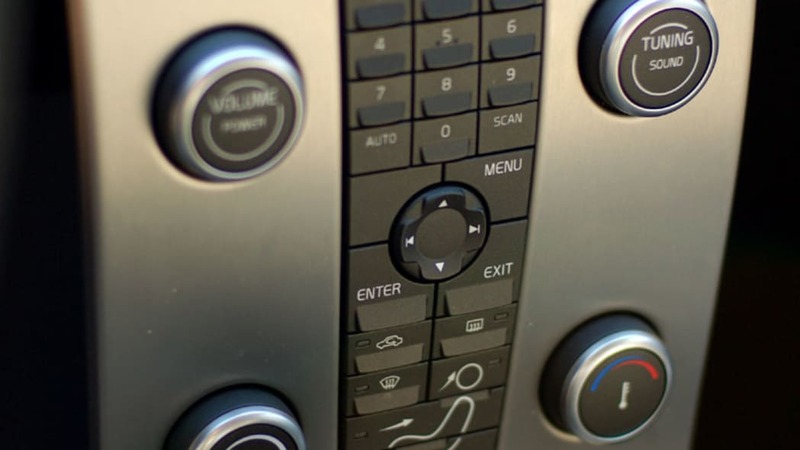 The rest of the controls are laid out with clean Scandinavian design on the extra-thin center stack that Volvo's lately been making its trademark interior feature. 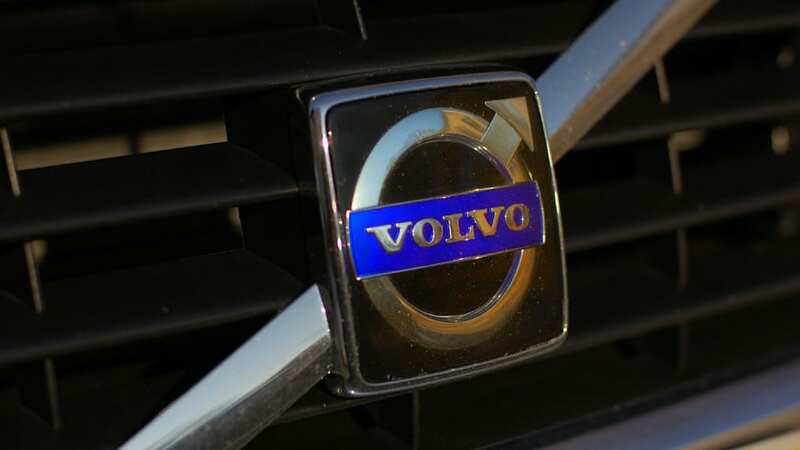 There are few cars with such straightforward and self explanatory secondary controls as you'll find in a Volvo, and the LCD display acts as a guide to what the four knobs on the center stack do. Grab the tuning knob and the screen switches to an emulation of a tuning scale like radios used to carry. 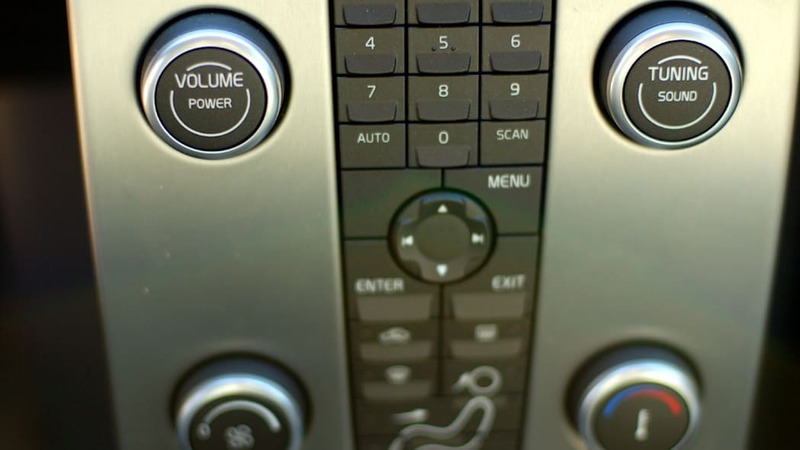 Proper knobs for volume, tuning, fan and temperature cover all the bases elegantly. 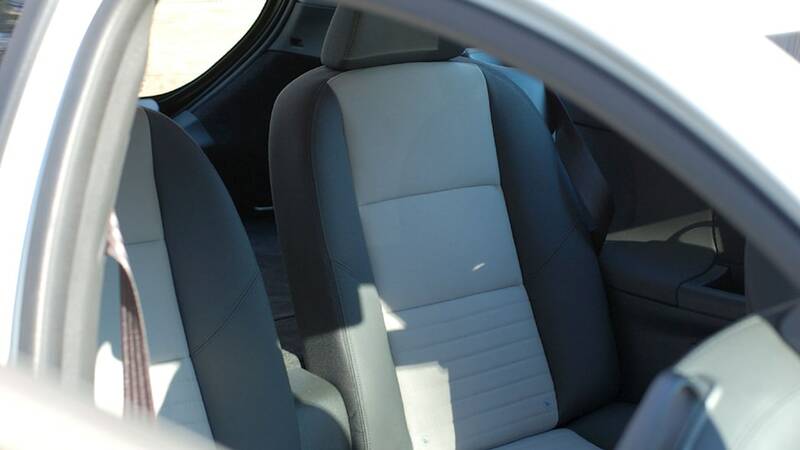 The rest of the interior wears Offblack; marketing speak for very gray. It's quiet inside, too, all the better to crank up the excellent stereo with 10 drivers by Dynaudio, maker of some very high-end gear found in recording studios. Surround-sound in a car is a dubious feature, so we ran it in two channel mode, and it did not disappoint when we sent Stanton Moore's III through the auxiliary jack. 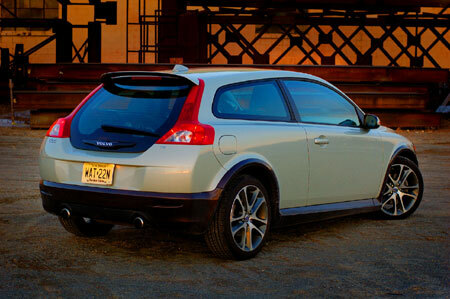 While the C30 is short in length to the point of being stubby, it's still larger than its main bogey, the MINI. It also pays homage to the past without being overwrought and too-kyoote. There's room for a deluxe child seat in the back seat, a pretty tough test when the vehicle size gets down in this range. Pull a lever on the front seats and they slide easily out of the way. It's no Maybach 62, but there is useable rear seat and cargo area room. 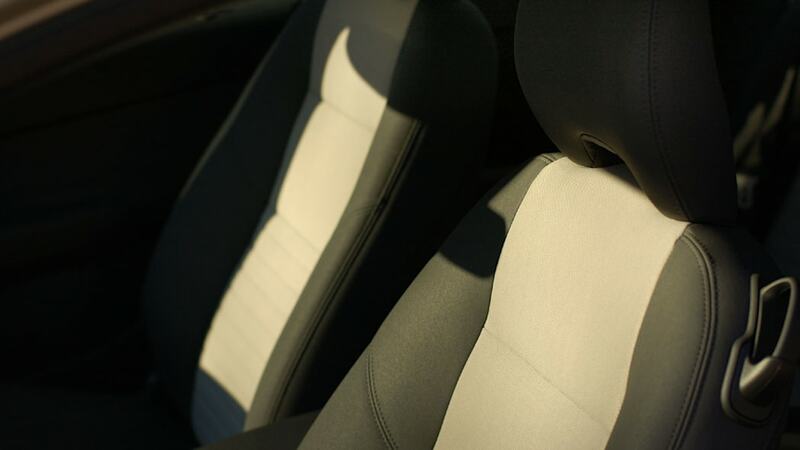 It'd still be best to think of the rear seats as occasional use only. 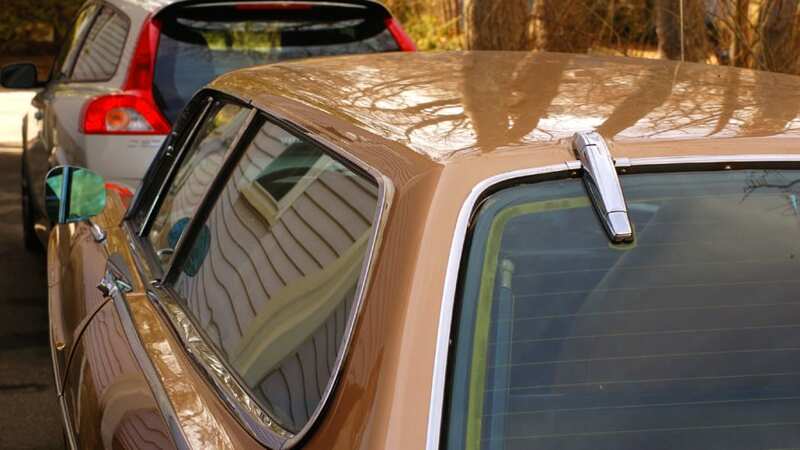 The glass hatch looks great and makes loading easy, just watch your pants on the bumper. 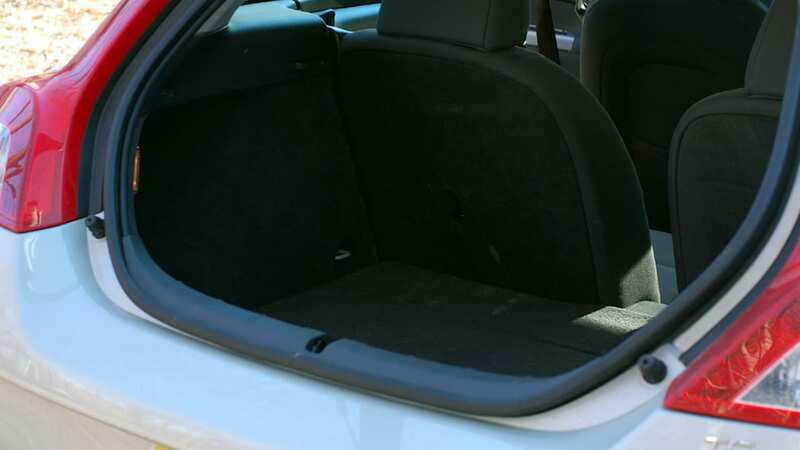 With the rear seats in use, it may be tight to get a couple sets of golf clubs or a stroller in there, but we didn't have any problem with capacity once we put the split-folding backseat to use. Outward visibility is good, especially through the glassy tail. We applaud Volvo for having the confidence to release a hatchback, and the C30 is unique in many good ways. 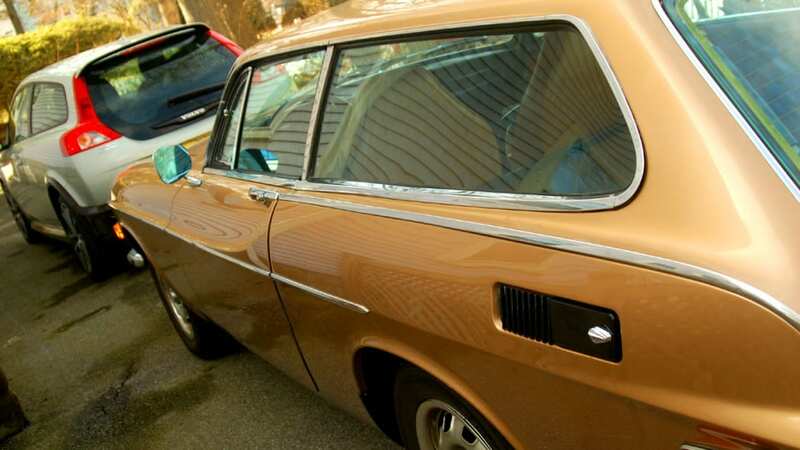 Smart styling and a chassis that doesn't yelp in fear when asked to perform ups the appeal to the hip young people who this car is trying to snag. 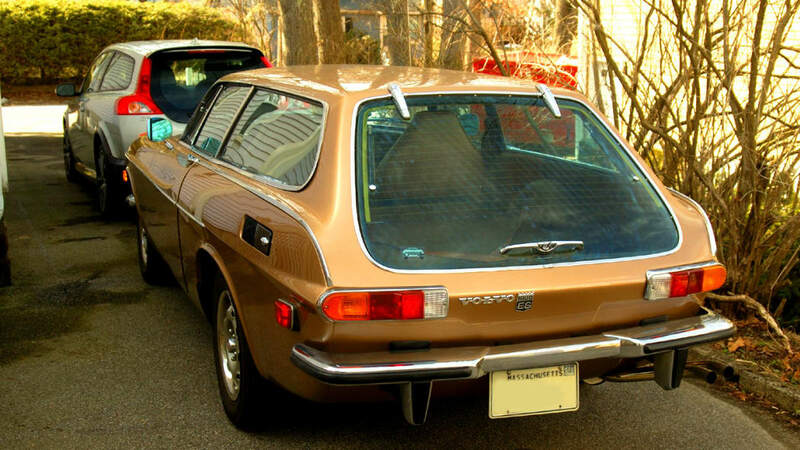 Older folks and Volvisti appreciate the styling homages to classical Volvos with the strong shoulders and specifically the nod to the 1800ES in the roofline. 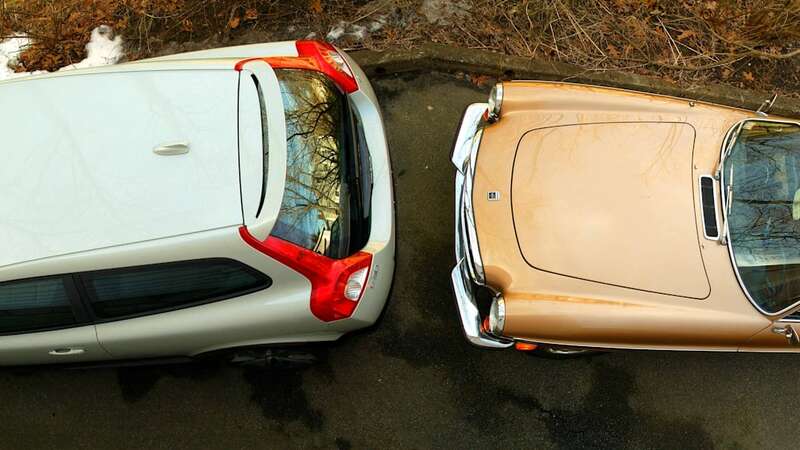 The overall feeling is modernity, versus the kitschy neo-retro in the MINI, and the C30 offers buyers another option, albeit for a dearer base price. 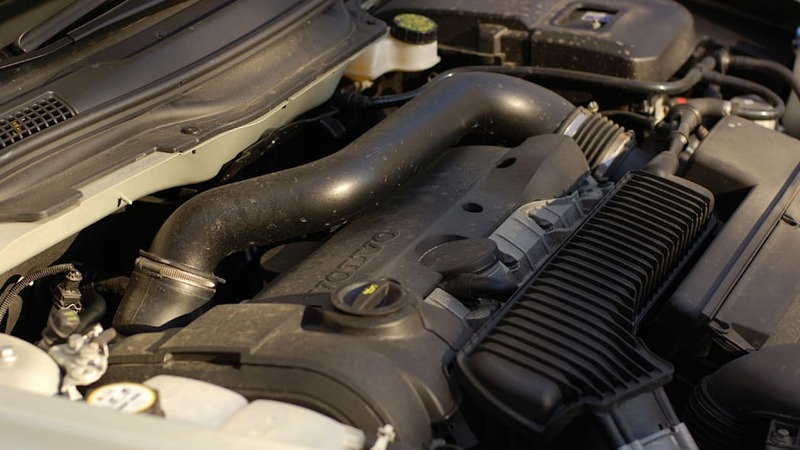 Similarly equipped competitors aren't tremendously cheaper. 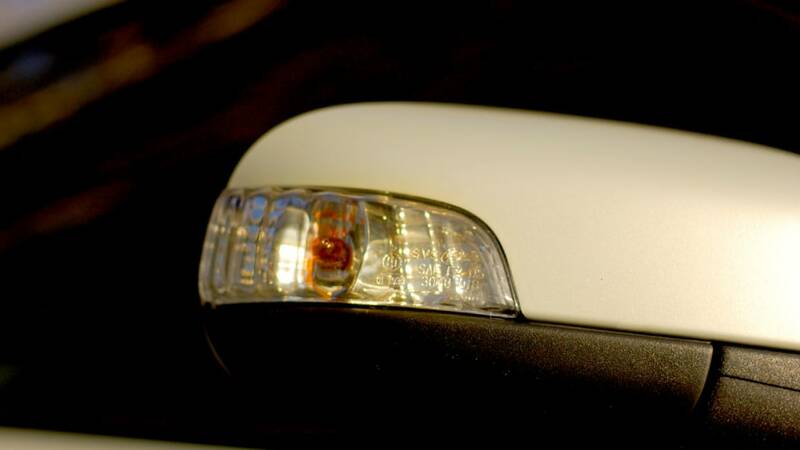 A Cooper offering this level of performance is carrying the S badge and mid-20's pricing. 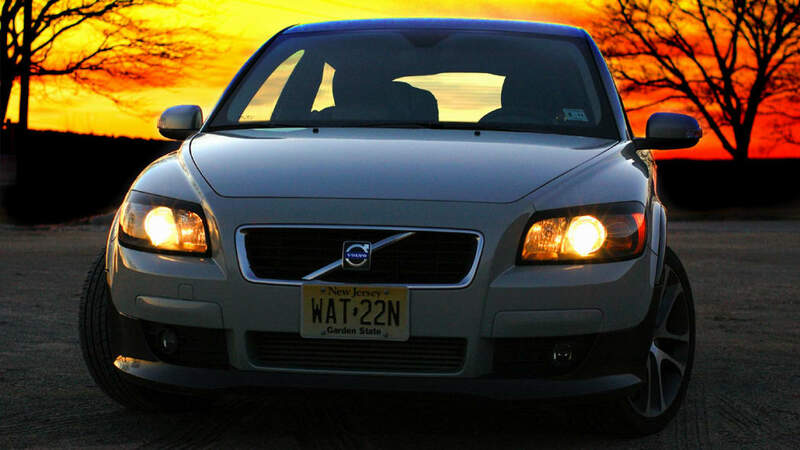 Here's hoping that Volvo disproves the notion about Americans preferring sedans. 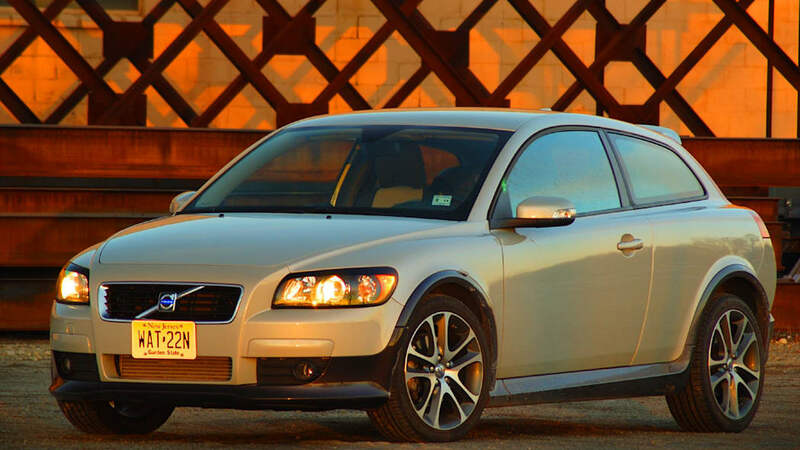 The C30 is fun, fleet and functional. Many thanks to Josh and Jetson the ES!